C++ was developed by Bjarne Stroustrup in 1979 at Bell Labs in New Jersey, USA. 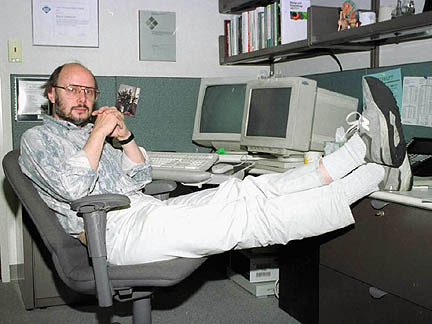 Earlier Stroustrup was working on a language called called Simula. Simula is considered as the first programming language to support the object oriented programming paradigm. Simula had features that were very helpful for large software development, but the language was too slow for practical use. Later, he started working on C++ and used his previous knowledge of OOP learned from Simula. Stroustrup's wanted to add object-oriented programming features into the existing C language. He included classes, inheritance, default function arguments, and strong type checking in addition to all the existing features of the C language. C++ is a superset of C. C++ programming language is extension to C Language. It was originally named C with Classes but later it was renamed C++ in 1983. The first C++ compiler was named Cfront, which was an extension of a C compiler called CPre. Cfront compiler translates C++ program to a C program. The increment operator(++) of C language. Therefore we called C++ as “Incremented C” means Extension to C.
In 1985, Stroustrup published the first reference to the language "The C++ Programming Language". Till now, there was no official standards available which became the definitive reference for the language. C++ 2.0 was released in 1989, followed by second edition of C++ Programming Language reference. New features of C++ 2.0 was multiple inheritance, static and const member functions, abstract classes and protected members. In 2011, C++11 standard was released adding some new features and extension of standard C++ libraries. C++14 is the current version, released n 2014 with minor bug fixes. A major version release of C++ called C++17 is planned for 2017.